Let the feel of nature breathe new life into your space with this farmhouse style picture frame. 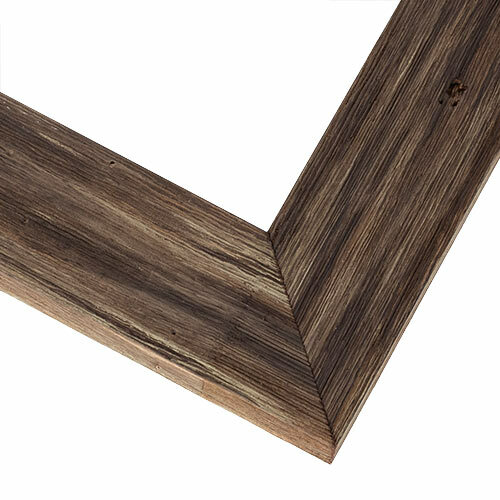 With a wide profile and flat, grooved surface, this beautifully rough and rustic brown wood frame gracefully exhibits the look of natural weathering and barnwood mystique. Made from real wood sourced from sustainably managed forests, it makes an ideal, eco-friendly choice for a nature photography frame or chalkboard framing project.